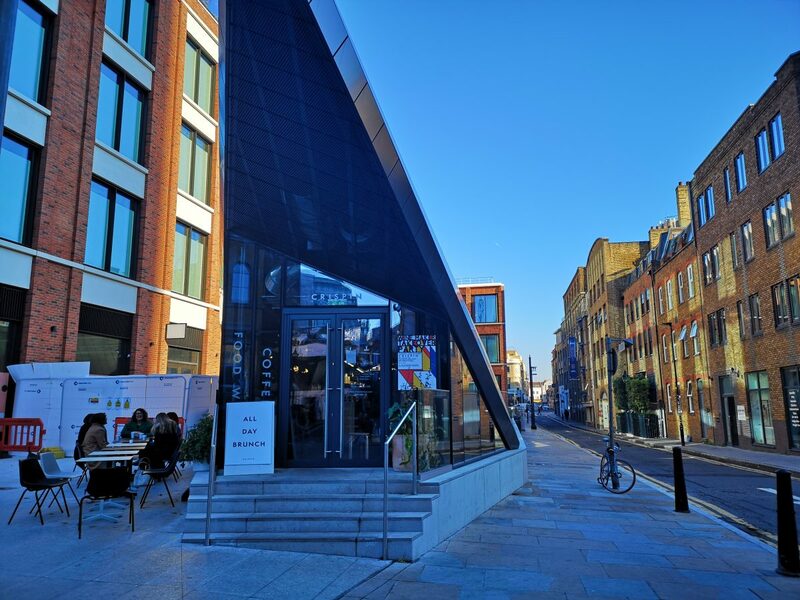 Crispin is a café and restaurant in a beautifully angular building just next to Spitalfields Market. The guys who opened it also own Lundenwic coffee shop on Aldwych and Borough Market scotch egg stall, Scotchtails. The acute angle-vibes continue inside which give you plenty to look at. 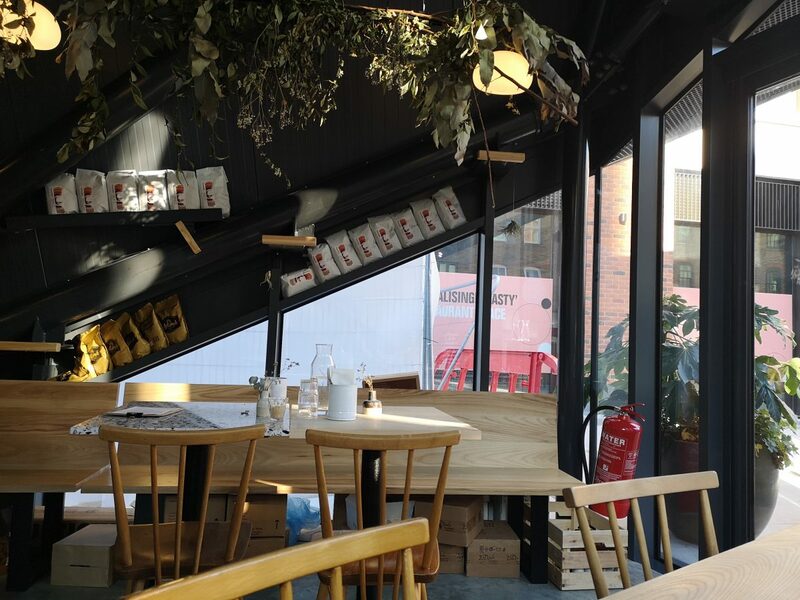 Bags of coffee beans sit on the steel rafters to make use of any available space and there are plants aplenty. Very 2018. But friendly service ensures it ain’t too cool for school. We visit for breakfast on a Saturday and the place is buzzing. From the concise menu we start with a weekend staple: avocado on toast (£10). 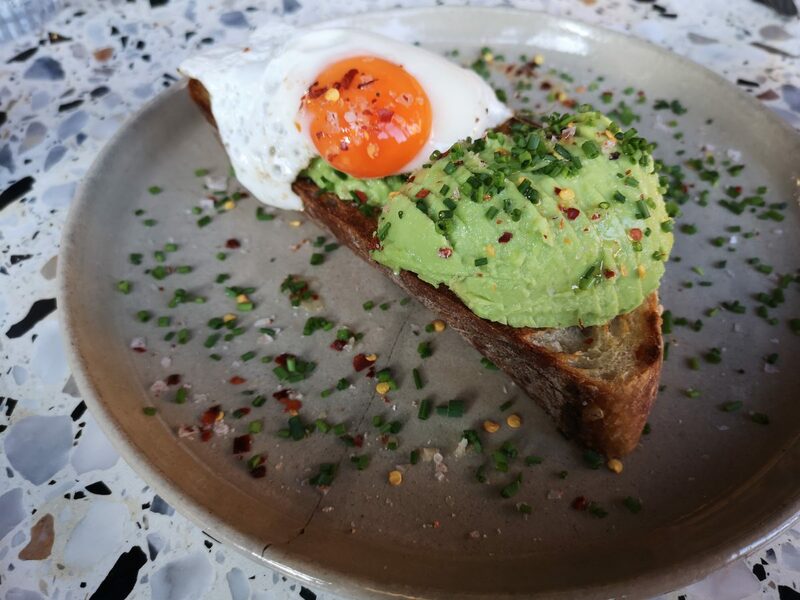 The sourdough is of mighty fine quality and the sliced avo is generously sprinkled with chives and chilli providing plenty of flavour. The yolk on that fried egg is gloriously gooey. That cracked plate might want replacing though. 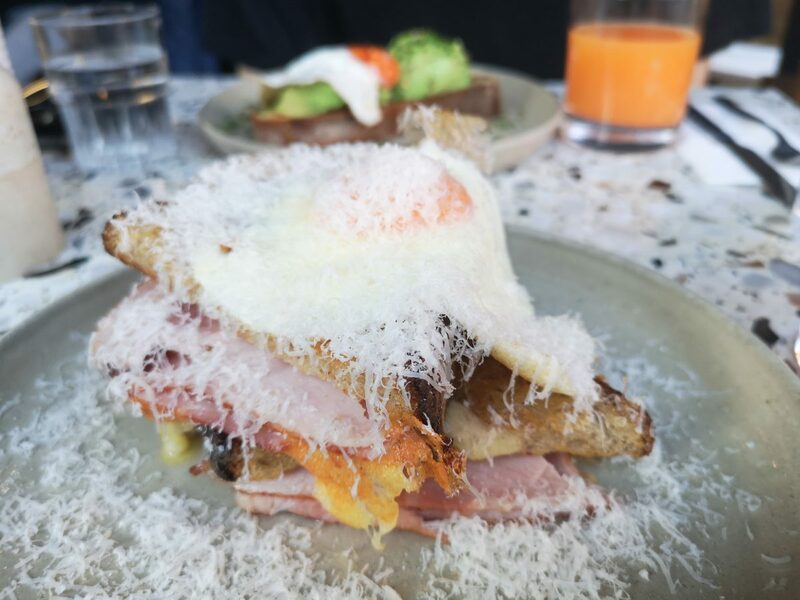 Smoked ham and cheddar toastie (£9) has all the right flavours going on but it’s not been fried for long enough to melt the cheese inside. Said melted cheese should hold it all together but here it just falls apart. Not a disaster, just disappointing. 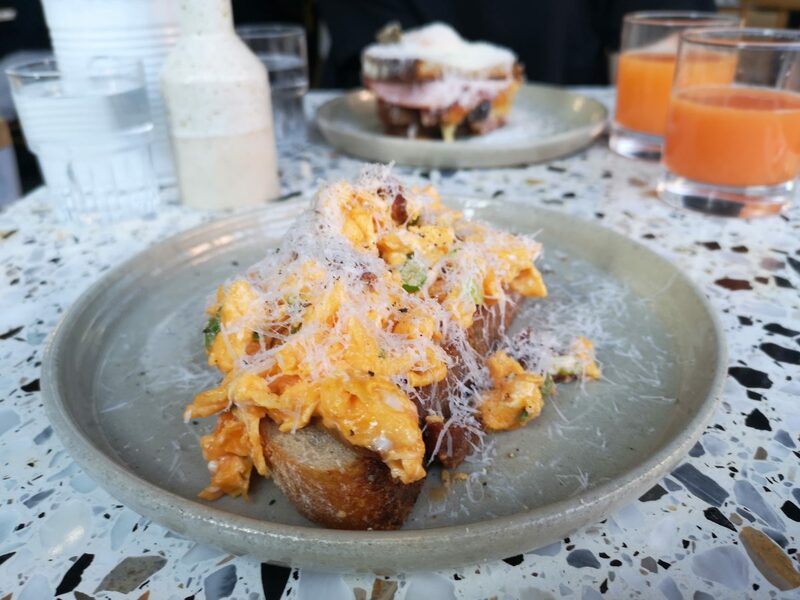 Parmesan scrambled eggs (£11) dotted with chorizo and spring onion, are lush. They sit on more of that lovely sourdough which soaks up the oil from the fatty chorizo. The eggs are clearly of high quality. We finish with a homemade banana flapjack (£3.50), a creation I’ve never seen done before but I want that recipe. 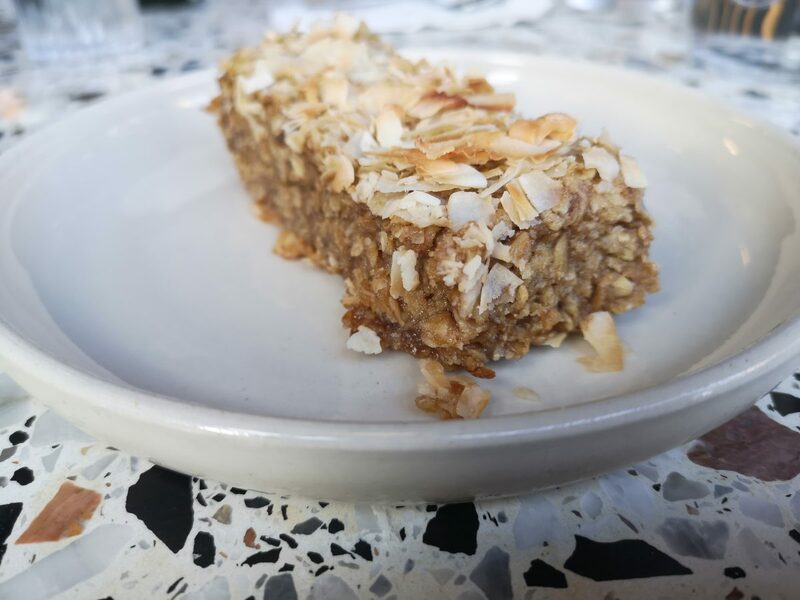 It’s super sweet with a moist, oaty texture. Far more exciting than your standard flapjack. It’s a lovely place is Crispin. They’re open in the evenings too where dishes are matched with a low intervention wine list. Good reason to go back I think.